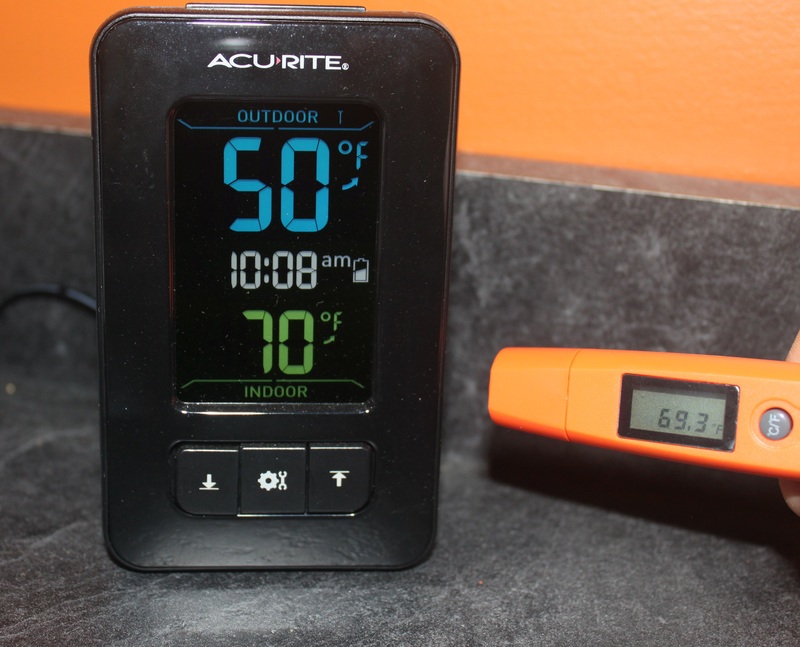 I recently saw the Etekcity 8250 thermometer online and thought it looked like a cheap tool / gadget / toy / distraction that might have some actual use. A non-contact thermometer has a thousand household uses, right? I can’t actually remember the last time I needed to measure the temperature of something but this will be a tool of curiosity. I conveniently forget about the order and was pleasantly surprised when it arrived. 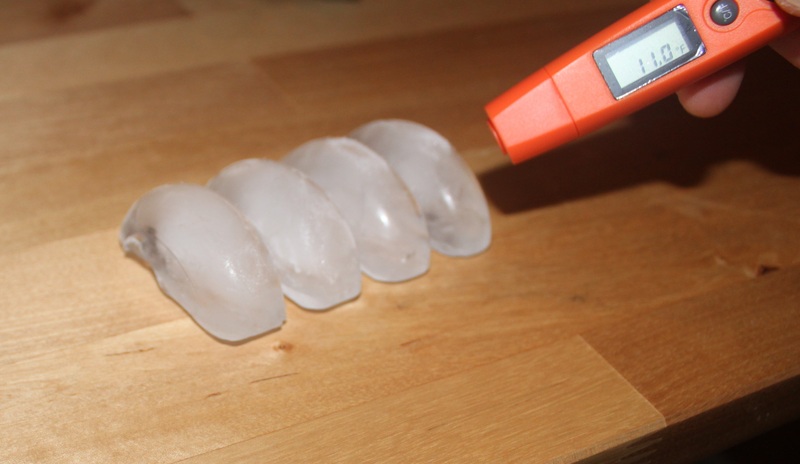 What’s the first thing you do with a thermometer? Measure against a convenient and known standard, human body temperature. Hmmm, at first glance this doesn’t appear to be correct but skin temperature is not the 98.6° F core temperature that I was expecting. Some quick Googling reveals a narrow range of expected skin temperatures with 90° F at the lower end. How about some other known (and convenient) standards? Ice from the freezer? Convenient and cold. 11 °F sounds about right. Lighter? Hot and tricky to measure. Very difficult to get a direct flame measurement. Core flame temperature is expected at around 3,500 °F. 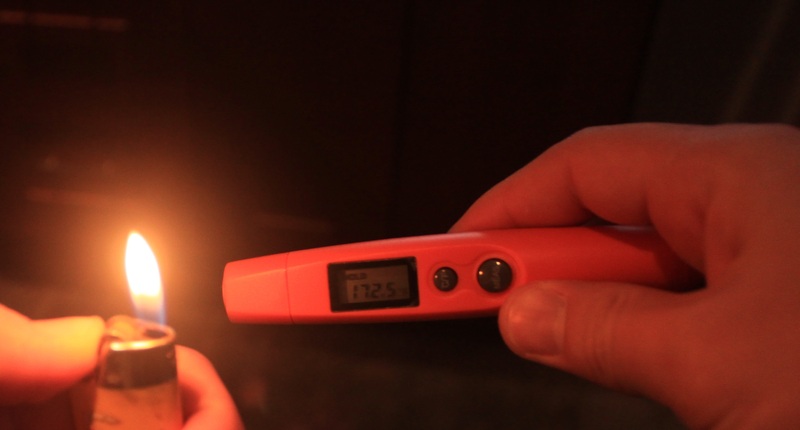 The thermometer is measuring the outside of the flame and the thermometer maxes out at 482 °F. Inconclusive. How about an independent standard? 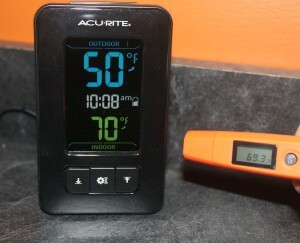 My AcuRite 02023 indoor/outdoor thermometer is on par with the Etekcity measurement. Seems legit. In conclusion? A capable thermometer to keep in my kitchen drawer. Easy to use and instant temperature readings. It seems capable for cooking and curiosity measurements but I don’t think I’ll be using this for hard science any time soon.